3 Lily Pads is a line of unique handbags designed by fashion designer and author, Fiorella Di Lorenzo. With the dream of creating and producing products that people enjoy, 3 Lily Pads is dedicated to providing for others in need by donating a portion of its annual profits to three well known charities. 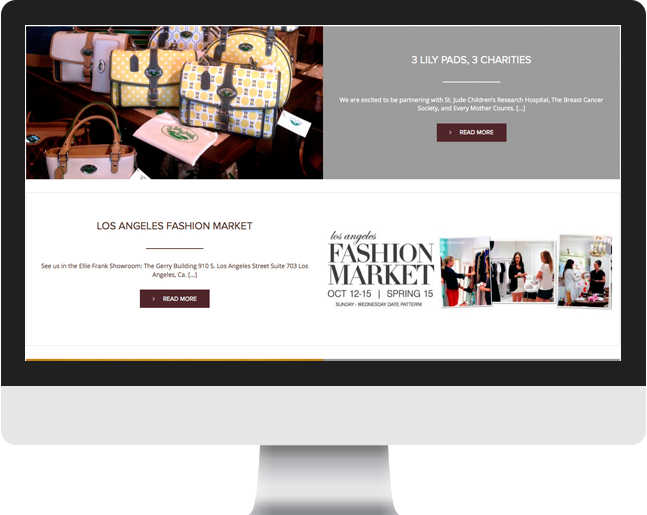 Cultura Interactive was approached by 3 Lily Pads to redesign their website. Their goal was to create a clean and user-friendly WooCommerce website with the use of inviting photography for visitors to find products, and learn about the company. 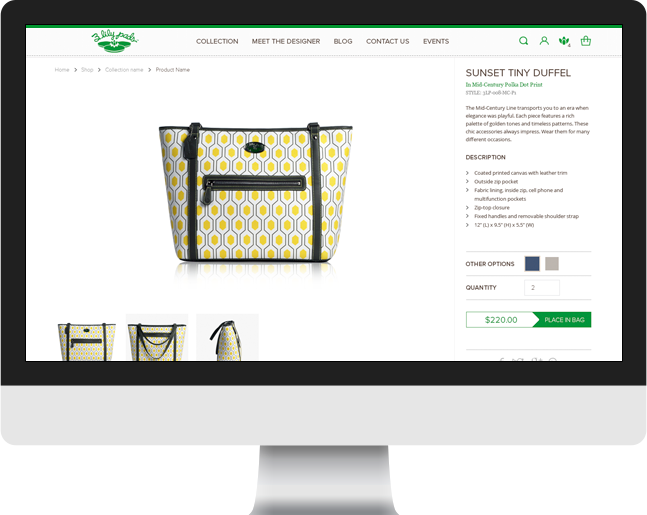 Since the company is a startup, their goal was to break the mold with a fabulous WooCommerce website and unique design that reflected the quality and urban style of their products. We created a solid framework that would not only accentuate the company’s brand, but would also stand out from the competition. Our team developed custom icons to complement 3 Lily Pads’ navigation menu and aesthetic design. Each icon was created to reflect modern elegance while still remaining relevant to their brand identity. 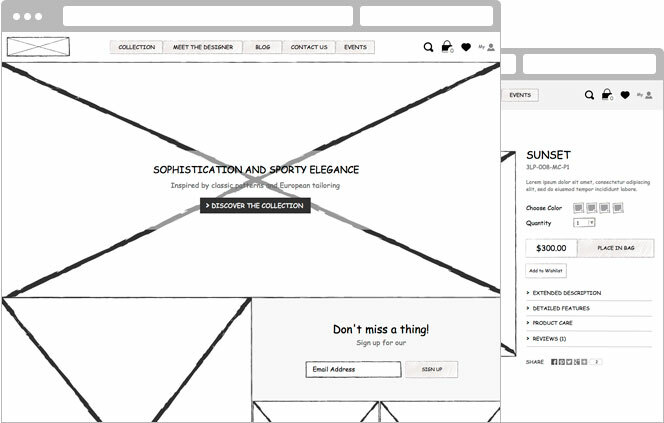 With the use of WooCommerce as their e-commerce integration, the system allows users to make purchases and choose among a variety of collections in an easy and simple way. The system also contains unlimited informational pages that can be easily updated straight from the CMS. 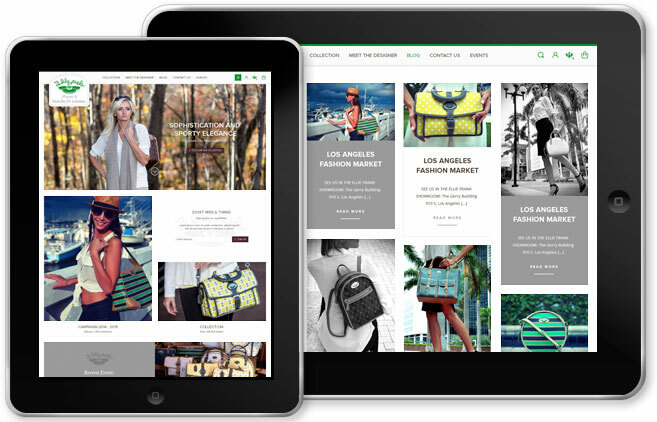 Online shopping just got easier thanks to responsive design. A mobile version of their WooCommerce website was created to provide customers with a simpler way to shop for products straight from their mobile devices – no matter the size. Our team came up with the strategy to incorporate a whole section for the designer to associate it with the product’s brand.This is why we showcased Fiorella Di Lorenzo as an important section in the new website. Fiorella Di Lorenzo is a fashion designer and author of a highly renowned educational book, Tailoring Techniques for Fashion. She was also a professor at the internationally recognized Department of Fashion at Miami International University. As a recurrent guest speaker on Univision’s popular morning program, Despierta América, she shares her creative visions on a variety of topics. Cesar and his team were such a breath of fresh air compared to the other web design companies we had used in the past. The process was efficient, fun, and we love the final product. We are very proud of our website and we receive many compliments. I highly recommend.